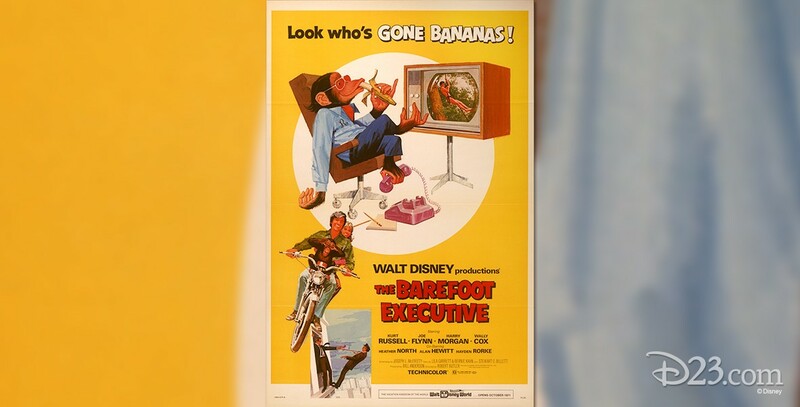 Barefoot Executive, The (film) In the wacky world of television, an ambitious mailroom boy at the United Broadcasting Company, Steven Post, discovers that a chimpanzee being taken care of by his girlfriend, Jennifer, has an amazing talent–the chimp can pick programs that will become hits. Steven secretly uses the chimp to catapult himself into a vice presidency and a lush life, but the secret is revealed by jealous rivals. Steven loses both the chimp and his girlfriend until he changes his ways and wins out. Released on March 17, 1971. Directed by Robert Butler. 96 min. Stars Kurt Russell (Steven Post), Joe Flynn (Wilbanks), Harry Morgan (Crampton), Wally Cox (Mertons), John Ritter (Roger), Heather North (Jennifer), Alan Hewitt (Farnsworth), Hayden Rorke (Clifford), Ruffles the Chimp. The film’s song, “He’s Gonna Make It,” was written by Robert F. Brunner and Bruce Belland. The film was made with the cooperation of the National Academy of Television Arts and Sciences. A week of location shooting was done in Long Beach, California, with the rest of the shooting schedule completed at the Disney Studios. Released on video in 1985.